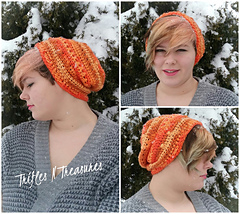 The Textural Slouchy works up amazingly fast! Full of fun stitches to create a lot of texture, and an awesome fashion piece, that is very functional! Instructions for 3 sizes from Toddler to Adult!